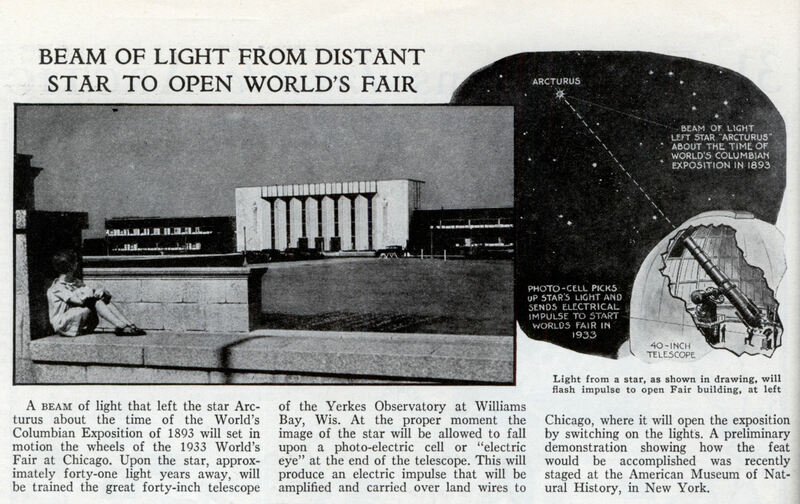 A beam of light that left the star Arcturus about the time of the World’s Columbian Exposition of 1893 will set in motion the wheels of the 1933 World’s Fair at Chicago. Upon the star, approximately forty-one light years away, will be trained the great forty-inch telescope of the Yerkes Observatory at Williams Bay, Wis. At the proper moment the image of the star will be allowed to fall upon a photo-electric cell or “electric eye” at the end of the telescope. 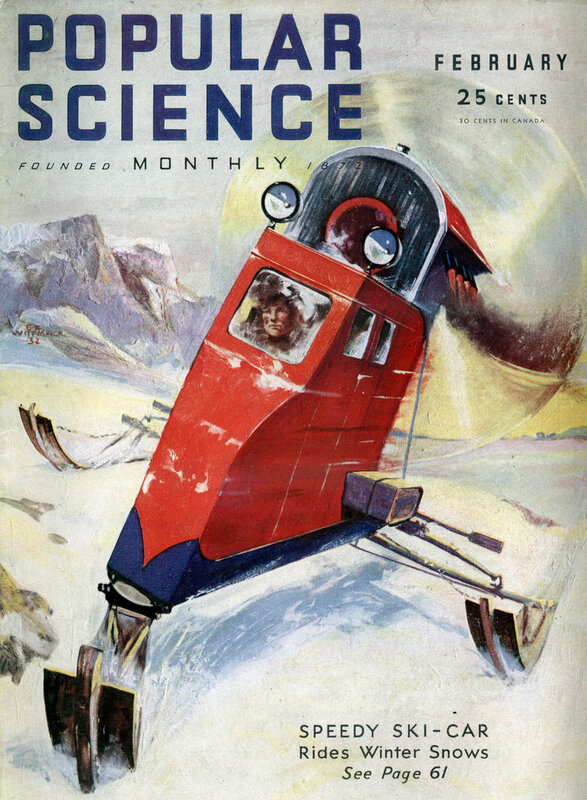 This will produce an electric impulse that will be amplified and carried over land wires to Chicago, where it will open the exposition by switching on the lights. A preliminary demonstration showing how the feat would be accomplished was recently staged at the American Museum of Natural History, in New York. What did they do if it was cloudy? A guy with a penlight will climb atop the telescope.